Ford dropped a bomb on the automotive world Wednesday by announcing it would no longer produce sedans for its home market of the U.S. By 2020, Ford’s entire lineup will consist of crossovers, SUVs, trucks, and only two cars which will be the Mustang and the new Focus Active. We know what a Focus is, but what is a Focus Active? Well, you know how Subaru took the Impreza compact hatch, lifted it a little, added roof rails and some plastic cladding, and called it the Crosstrek? That’s exactly what Ford is doing with the Focus. It’s a new version of Ford’s compact that’s not quite a hatchback and not quite a crossover. It’s certainly a hatchback in the sense that it has a hatch, but its dimensions and proportions are not quite the same as the non-Active (inactive?) Focus hatch. It’s also not boxy enough to be a crossover and not long enough to be a wagon. 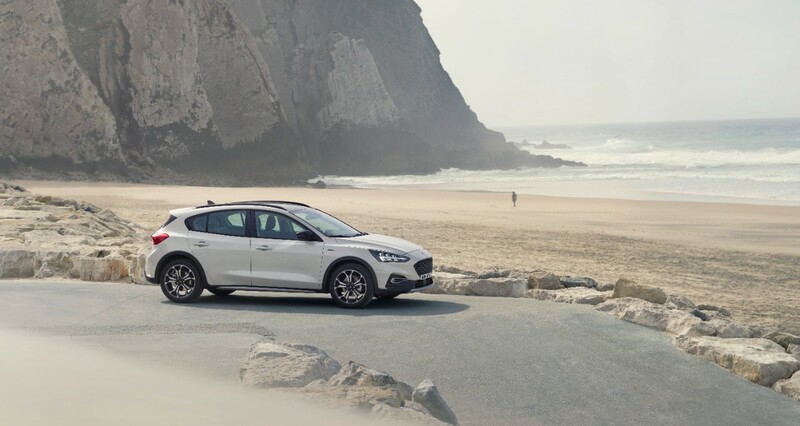 The Focus Active fills what Ford calls a “white space” between cars and crossovers that combines “the best attributes of cars and utilities—such as higher ride height, space and versatility,” according to a statement from Ford. Ford isn’t the first one to try filling this sort of automotive no-man's-land. The aforementioned Subaru arguably pioneered the idea of this type of vehicle by giving the Impreza some of the characteristics that people like about the bigger Outback and calling it the Crosstrek. A few luxury brands have tried it too with cars like the Audi A4 Allroad and the Volvo V60 Cross Country. The newest entry in lifted wagons with plastic cladding is the Buick Regal TourX, which Buick refuses to call a wagon. What’s different about the Focus Active is that it might not have standard all-wheel drive like every other competitor in this space. If that’s the case, it will be interesting to see where it lands in terms of pricing and fuel economy. If it can beat the Crosstrek in both of those categories, it will have a pretty strong competitive edge. Unfortunately, we don’t know a whole lot about the U.S. spec version of the Focus Active, but we know it’s definitely coming to American showrooms next year. This was confirmed on Twitter by Ford North America Product Communications Manager Mike Levine who we reached out to for more info. He said the U.S. Focus Active “will be similar to the Focus Active revealed in Europe but tailored to North American customers,” in an email to The Drive. The Europe model will have four powertrain options; two petrol and two diesel. The gas options are a 1.0-liter and 1.5-liter EcoBoost while the diesel options are a 1.5-liter and 2.0-liter EcoBlue. All four engines are available with either a six-speed manual or eight-speed automatic transmission in Europe. I would be very surprised if either diesel option was offered in the U.S. and my best guess is that our only powertrain option for the Focus Active in the States will be the 1.5-liter EcoBoost with the eight-speed automatic. This configuration in the Europe model makes 147 horsepower. Driver assistance tech available in the European Focus includes active park assist, adaptive cruise control, blind spot assist, forward collision warning, a head-up display, pre-collision assistant, and a bunch of other safety tech. 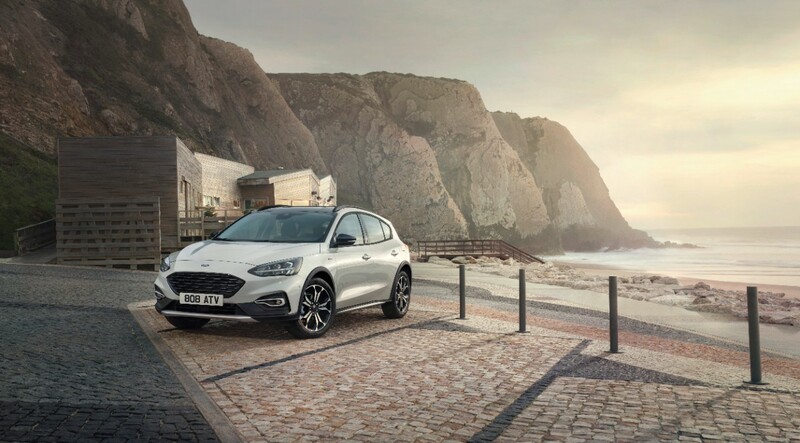 As for comfort and convenience features, it will be available with a hands-free power liftgate, a heated steering wheel, a panoramic sunroof, wireless charging, SYNC 3 infotainment, and the new FordPass Connect onboard modem for in-car Wi-Fi. So, apparently, this is what cars look like now. Pretty soon, every non-crossover offering from a volume car brand will look like either a muscle car or one of these weird lifted hatchbacks. It’s hard to blame Ford for making this move because this is the market that buyers have created and Ford is just building what it believes will be profitable. If you want a new hot hatch—or regular hatch, for that matter—from Ford, you need to act fast before the Focus Active takes over. Can the All-New 2019 Ford Focus Prove Size Doesn't Matter? Ford's iconic small car grows up with a global education. Will it be enough to get us Americans out of our crossovers? Pricing details have been released for Subaru's lifted hatchback. This is one part of history we're glad to see repeated.